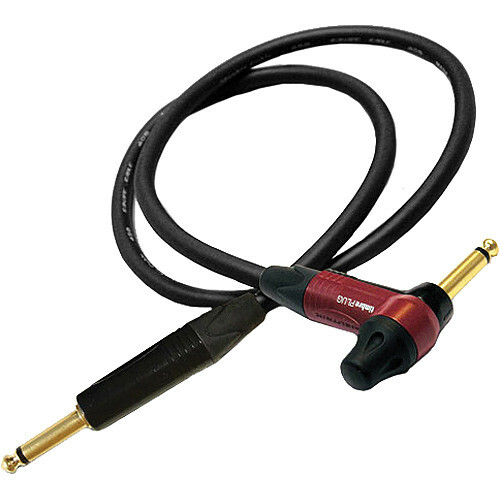 The 35' GS-6 Guitar Cable from Canare is an unbalanced cable with a Neutrik right angle 1/4" TS timbrePLUG and a straight Black & Gold 1/4" TS plug. The timbrePLUG allows you to change the standard timbre of your guitar sound from neutral to three additional warm sound characteristics by simply turning the knob on the connector. The combination of this cable's thick yet flexible 127-strand conductor and its polyethylene dielectric and dual shields result in very low capacitance and wide frequency response.